Veeam Restore Point Simulator, Calculate your repository size. LaurensvanDuijn 07/12/2015 14/01/2016 No Comments on Veeam Restore Point Simulator, Calculate your repository size. A handy tool for an estimated sizing Veeam Repository storage needs. 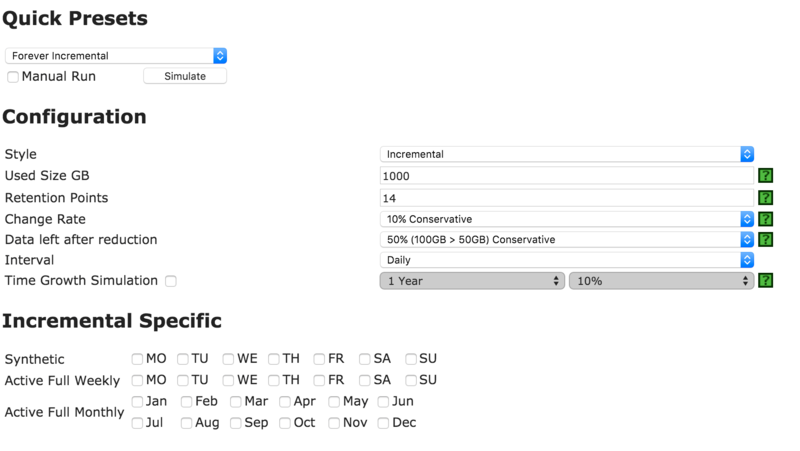 Nice option to “predict” size of data over the years by adding a percentile grow rate. Cloud controlled drones are the future.